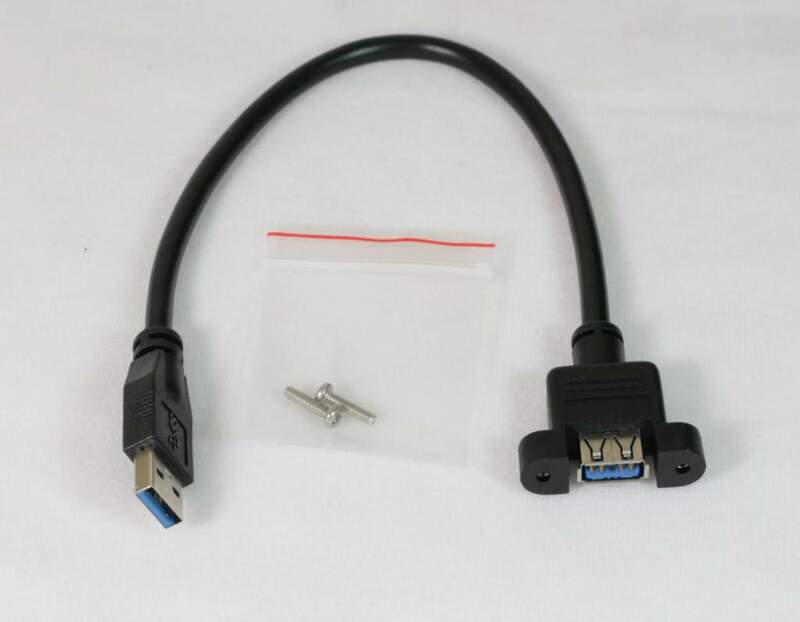 USB 3.0 Panel Mount Cable 1Ft USB-A Male to USB-A Female. New USB 3.0 Ports M-F for Superspeed Operation. Used to move the Port from one Location to another Usually on the Panel. USB 3.0 panel mount molded connector on one Side provides easy access USB connection on any machine port or faceplate.